Pick from a menu of tricks. It’s a (4) week class. Positive training methods (like all our classes). Learn to shape, capture and target behaviors. Build better communication with your furry friend. Have loads of fun while enhancing your relationship. Work WITH a dog or WITHOUT. 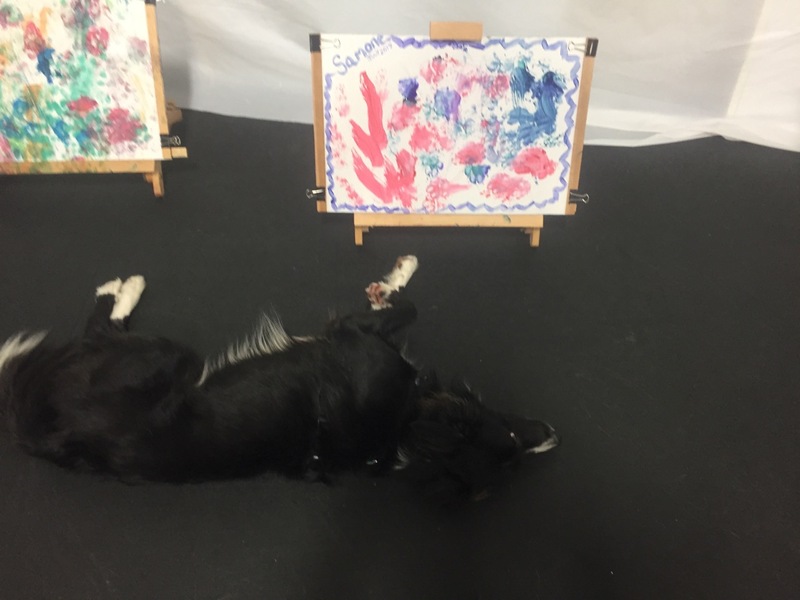 Fun w/painting class: Painting can be exhausting!